The CAS has several Ohio observing sites available to members, some are more public than others. The three listed here are our favorite public and semi-public sites. Located just off of Route 23 north of Columbus OH (about 10 miles north of I-270) and just south of Delaware OH (about a mile south of where 315 intersects 23). 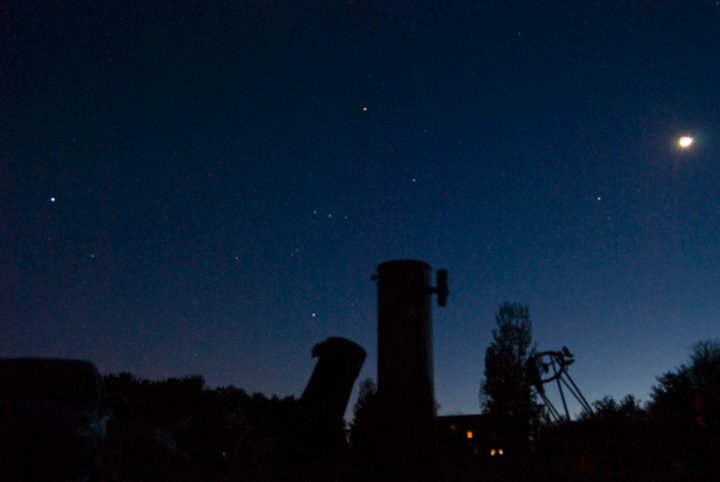 The John Glenn Astronomy Park is a facility run by the Friends of the Hocking Hills and volunteers to provide a public, dark sky site located in the Hocking Hills State Park. Please see the John Glenn Astronomy Park website for more information about observing at the site. This 35-acre site is located within AEP’s Recreation Land in Morgan County. From downtown Columbus, it is about a 1 hour 45 minute drive to the observing site and very dark sky conditions.